Hello. I design useful digital things. Apigee needed to appeal to both developers and enterprise customers that work with APIs. The aim of this page was to get developers working with Apigee's API tools as quickly as possible. API management was a relatively new thing, so the site needed to educate prospective customers. Illustrations and diagrams were used to make a very technical subject more digestible. This site was created on a very tight timeline. Google maps makes this page feel more like a destination. This system of diagrams was intended to help customers understand how Apigee's technology works. We needed developers to understand that they would be funneling their traffic through Apigee. Animations were used to make the setup process feel engaging. Since this application was for developers, it was important to give them access to code. The animation on this page was used as a reward for enabling the application. This tool allowed developers to learn new APIs. This tool helped developers debug how their applications interact with the APIs they consume. This tool helped developers understand how their applications consume API data. This tool helped developers apply basic protections to the APIs they publish. When exploring ideas for features, I often make digital sketches. There are times when more detail is needed to understand whether a feature has merit. This is a useful way to help team members understand what a large design effort will entail. This hints at the kinds of content each page will contain. These wireframes were made when we were exploring what Apigee would be in the future. Details helped team members more effectively evaluate future product ideas. I designed Apigee's logo. We were aiming for something that would appeal to both developers and enterprises. I also designed sales and marketing materials. This company dashboard was a hackday design project. The dashboard is displayed at Apigee HQ. it became clear that many of the world's companies were going to rely on hosted services via APIs. Sonoa realized the company needed to move away from the hardware business towards offering cloud-based API management services. 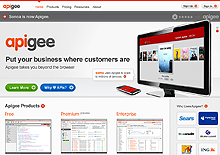 a separate brand named Apigee. Under Apigee, we worked to develop a set of tools to encourage software developers to build with APIs. Over the course of four years, I designed Apigee’s identity, marketing site, and tools that help developers learn and debug APIs. Apigee was so well-received by Sonoa's customers and investors, the company decided to rebrand itself. In the three years following the rebrand, Apigee has enjoyed a ten-fold increase in visitors and revenue, and has become a recognized leader in the API management space. Swivel started out as an application for people who were operating businesses enabled by online services. Swivel wanted to offer people a better way to see across the services they were consuming. Swivel also gave people the ability to stay on top of what their competitors were doing. Swivel morphed into a site for social data exploration. This design was simplified for quicker iteration. Each chart in Swivel was a node for data exploration. Swivel provided a place where people could share and discover lots of data. Every data source in Swivel had its own profile. This page shows all of the social activity related to this data. 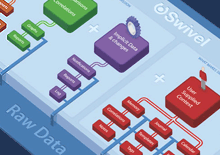 Swivel offered ways for users to describe and differentiate their data. Filters offer a non-destructive way to extract useful views from large datasets. Preset filters were planned to help people isolate useful data. Since data can be very complex, it was important to allow people to format data for clarity and communication. Swivel underwent another major transition. The design of the site was adjusted for a new audience. Each chart developed in Swivel could be explored. Chart variations were generated based on the data. Getting data into a usable format could be a challenge. Swivel needed to help users correct gaps in data. An important part of sharing data is the ability to modify how it is styled. 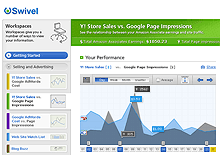 Swivel provided non-destructive ways to adjust how data was displayed in charts. Swivel began with a team brainstorming session. I assembled questions and organized the results. We conducted interviews to identify a target audience and understand the challenges they face. I organized our findings so we'd have a better picture of our target customer. This summary detailed the features needed to serve our target audience. Once we felt we had a sufficient handle on what Swivel would be, we created an illustrated product story. This is a large-format map of the features Swivel planned to offer. It outlines the key activities that the application would need to support. Swivel was a big project, so we needed a way to prioritize construction of the product's features. Once we decided on the features we'd have for launch, we needed to understand how they would be arranged. These diagrams were used to help us understand how the application would need to behave. Complex UI interactions were broken down into buildable chunks. Wireframes were digitally sketched for speed. Digital sketching combines freeform thinking with the power that comes with working on the computer. Wireframe variations are sketched on a large canvas to see how the application works as a whole. Swivel was started with a simple observation: people are drowning in data. Swivel's founders believed that when citizens, businesses, and governments can see data better, they will make better decisions. We set out to provide a place where people could collect, explore, present, and discuss data. During my time at Swivel, I designed three significant generations of the product. I developed interaction models for social data exploration and storytelling. the features required for launch. Unfortunately, Swivel was not a success. We discover-ed that the problem space for social data sharing is extremely complex. Real data is messy. Deriving meaning from data is hard, and presenting it in a way that increases understanding is quite difficult. Despite Swivel not succeeding, the problems we set out to solve still exist and are more relevant than ever. The site was designed to be a neutral container for changing photographic content. This navigation treatment gave visitors a preview of the site's content while keeping page layouts simple. Once an item is selected, the navigation cycles over to the left and fades back. It was important to showcase Nike's technical and material advancements. The site's visual language made reference to the materials used in bicycle components. The job of the design was to enhance Nike's amazing assets rather than compete with them. A restrained visual framework gave us the room to make some interactive flourishes. Obvious error states encouraged visitors to complete registration. Design concepts were clearly articulated. This helped us get better feedback from decision-makers. Nikecycling.com was recognized in ID Magazine's 51st Annual Design Review. Nikecycling.com was recognized by the American Institute of Graphic Arts. 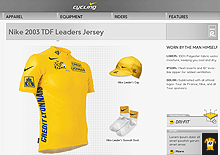 In the spring of 2004, Nike initiated a large marketing push to showcase cycling clothing, promote Lance Armstrong, and give the brand credibility with cycling enthusiasts. We had a limited palette of assets to work with: product images, some athlete photos, and a couple of feature stories. The primary design challenge was to find a way to pull these into a cohesive whole. Some sections of the site contained only a few items, so we devised a navigation scheme that incorporated product photos. This simplified the site's structure and reduced the number of clicks needed to see product details. The site's restrained appearance was used as a backdrop for interactive flourishes and animations. Nike Cycling has been recognized by I.D. Magazine and the American Institute of Graphic Arts. The site was a simple container for a couple of athlete bios, videos, and downloadable assets. The navigation packed away in order to better showcase this amazing photography. The site was extremely simple, so it was vital that every detail was considered. The site also featured a number of candid behind-the-scenes videos. Videos were upsampled for greater impact. Site visitors could click on athlete images for more information. Flash did a poor job antialising small text, so we used a bitmapped font for increased legibility. The wireframes made reference to the photography that was available for the project. This level of fidelity enabled us to work through layout issues and get quick approval from decision-makers. Nike kicked off a $50 million marketing campaign in preparation for the 2004 summer Olympics. It wanted a small promotional site for teenage girls featuring videos about Nike-sponsored athletes on the US National Women’s Soccer Team. The site was limited in scope, offering a handful of interview videos, bios of the team’s two most popular athletes, and some downloadable assets. Our challenge was to make this small site seem more complete and substantial than it actually was. a danger of over-designing things. This site's photography was its strength, so we made sure the visual design served to enhance, rather than compete. Macromedia FlashCast was designed to show the potential of Flash as a mobile application platform. Background illustrations were used communicate the entertainment category while saving space. This channel used both icon animations and photos to indicate the current weather. This was Flashcast's first commercial application. These illustrations were used as background elements for FlashCast channels. These weather icons made use of repeating elements to keep file sizes to a minimum. We missed the mark here. A tutorial is usually an indicator that a UI isn't intuitive enough. Flash MX Professional packaging came with a surprise. The box included a shot of my weather channel design. on how to use FlashCast. The design of these demos embraced a number of technical and physical constraints. Memory was in short supply. Screen resolution was a tiny 176 x 208 pixels, and phone controls were not well-suited for complex interactions. Despite these limitations, we were able to make something that was quite compelling for the time. In the end, FlashCast suffered from the shortcomings of a platform that was fundamentally unequipped to provide what people really wanted. As history has shown, mobile technology needed a complete rethink before becoming a pervasive part of everyday life. The design emphasizes students and teachers working together. Hand-drawn elements make the site feel approachable. The site was designed to be able to change its character to suit the content. A well-defined page structure made it possible to change section colors and have the site still hold together. It was important to communicate that learning at d.School would be hands-on and highly collaborative. This sketch, made by the school's founder, became the backdrop for the site. We began visual design by collecting examples that addressed similar problems. In 2004 David Kelley, co-founder of IDEO, set about creating a new design school at Stanford University. 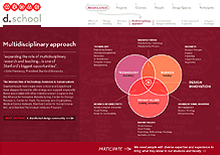 The d.school's charter was to offer a multidisciplinary approach to design learning. The school needed a stop-gap website to educate students about the programs offered and encourage fundraising. the assets we had to work with was a mind map David Kelley developed to articulate the scope and approach of the new design school. This became the background image for the site and the inspiration to use hand-lettered text for important calls to action. These designs were completed over a four-day period and became the foundation for the site build-out. Yahoo IPTV was prototyped on Windows Media Center and controlled via a remote. Yahoo IPTV planned to offer live and recorded TV, movies, photos, music, games, and sharing. When there's unlimited content available, viewers need interesting ways to discover the programming they like. This menu displays the program schedule only for the channels you like. We were asked to explore how paid programming could be integrated into the viewing experience. IPTV would have been an internet-enabled experience. Show details could include streaming video previews. We explored what IPTV would be like if the interface emphasized visuals over menus. When nearly limitless content is available, personalization plays an important role in discovery. We explored using visual themes as a way to package premium content and create a sense of place. Themed packages would give IPTV users the feeling of interacting with DVD-style menus. This is an exploration about how IPTV could entice viewers to purchase on-demand movie rentals. 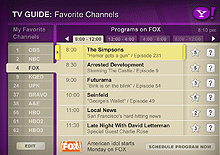 In 2004, Yahoo had begun to explore what on-demand Television over IP (IPTV) would look like. We were tasked with exploring the implications for the discovery of nearly unlimited amounts of on-demand video programming. We were also asked to consider what happens when you add personalization and a live social component to TV viewing experiences. I made concept wireframes for video discovery and designed high-fidelity mockups that were incorporated into a live prototype used to promote Yahoo IPTV to executive decision-makers. is an issue. These screens were designed for CRT displays which require special attention be paid to minimize contrast between screen element boundaries. Yahoo IPTV did not make it to production. CNET was looking for a departure from its original color scheme. This direction aimed for a cool, techy feel. The design needed to make many flavors of content feel like they were part of a unified whole. The design attempts to subtly differentiate navigation, editorial content, and advertising. Many pages had an overabundance of content. The design compensates by organizing features into discrete modules. In spring 2007, CNET decided it was time for a major redesign. We were asked to create a reference design that would be the basis for a visual build out by CNET design staff. I was the design lead for the project. I gathered requirements and supervised a small design team to develop some look-and-feel options. The challenges were considerable. CNET had a massive amount of content. Editorial and advertising were difficult to distinguish from one another. Each section of the site was owned by a different business group with its own revenue goals. Each page on the site was highly monetized with specific requirements for ad placement. I created. Some aspects of this design were incorporated into the direction that was approved for launch. We created a fictitious company as a backdrop for demo scenarios. Color is used to announce changes in context. A separate index of demo pages allowed presenters to jump from one scenario to another. This demo was designed to show how BEA could be used for companies that work with channel partners. Demo pages had just enough interactivity to give the impression that this was a functioning	site. One of the benefits of making static demos is that we could quickly target different industries. We did research to make sure each demo site would impress industry experts. This demo was created to show how BEA enables manufacturing, commerce, and inventory management. Some pages were created to help our audience forget that this was a made-up company. This page was used to convey that this is an e-commerce story. Systems integration was one of BEA's strengths. This page combines commerce and inventory management. The presenter would click through the demo site as if it were live. Page variations were used to show what happens to a business after BEA. This demo was used to show how BEA could be used to improve a company's internal business processes. BEA's portal framework was used to show data from multiple systems in a single view. This page showed how BEA's portal framework could be customized. It was important to show how different business roles see different interfaces. This page is part of an inventory management story. One of the challenges of demonstrating enabling technology is to show how it works in the background. This animated overlay shows that the demo page consumes data from multiple systems. Every demo scenario started with a detailed wireframing exercise. A high level of fidelity helped decision-makers give better feedback before visual design began. In 2001, BEA Systems, a leading application infra-structure company, found that its sales presentations weren't hitting the mark. During the course of a sales engagement it was common for BEA to build custom sales demos. These demos were expensive, unattractive, and needed to be operated by highly-trained sales engineers. In response to this, we designed a fictitious holding company which was used as a backdrop to showcase how BEA could be used to improve industry-specific business processes. The demos were tightly scripted and could be presented by non-technical sales staff. BEA was so satisfied with our initial work that we designed eight additional demos and BEA’s own sales portal. These demos were used to sell over $400 million in software and services. I worked with the BEA marketing team to come up with the appropriate features to support each product story. I wireframed, wrote all content, and art directed. BEHR's ColorSmart kiosk is part of the paint color centers at Home Depot. The kiosk helps customers find paint colors while increasing their engagement with BEHR's brand. When you touch the screen for the first time, you'll see an introduction and a call to get started. You can choose a color or browse the inspiration library. There are three different ways to select a color. You can start by choosing a rough color. Your initial color selection can then be modified. All important calls to action make reference to the current color. Once you've selected a color, you can get coordinate colors. Many people have a difficult time finding colors that work well together. Once you've selected a coordinate palette, you're given the ability to preview or print your colors. Your colors can be previewed on exterior or interior environments. Your color palette is shown on a selected environment. You can apply the colors to as many areas as you like. You can also find colors through a library of inspirational images. The library features photos with associated color palettes. It's also possible to scan a material to find the closest matching BEHR paint. In order to get the most accurate scan possible, the readings from three scans are averaged. Colors can be searched for by name or by number. Once a you've selected paint colors, you have the option of using a calculation wizard. A custom calculator is available if you want more than a ballpark estimate. Once calculations are finished, you're presented with a summary. When you're done, you get a customized printout that helps you locate paint samples in the adjacent Color Center. Time for this project was very short, so I sketched out interface ideas on paper in real-size. The sketches were taped to a wall so that we could get a better sense about what the app would feel like. This allowed us to discover key usability issues before moving to visual design. Sketching helped us iterate rapidly, and the final product was better for it. This diagram shows how the application needs to behave when users attempt to save their color palettes. This diagram details all of the screen states needed for users to be able to register or sign in. 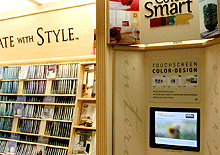 In 2001, BEHR decided to increase its presence in Home Depot by adding a touch-based interactive kiosk. The ColorSmart kiosk was designed to help people choose colors, match paints, visualize color choices, and calculate paint quantities. The timeline was aggressive so I prototyped the application with rough hand-drawn sketches. This allowed us to quickly explore ideas and gave us a sense about what it would be like to use the kiosk. During the course of the project, we learned that designing for touch kiosks involves many of the same challenges as working in interactive television or mobile devices. Kiosks offer low information density and the number of choices seen on the screen at any one time must be minimized to reduce the potential for error. The BEHR ColorsSmart Kiosk can be found in over 1500 Home Depot locations in the US and Canada. 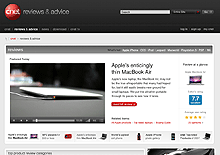 The site promoted Zune devices and software. 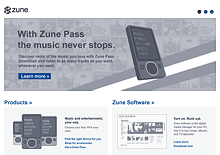 Zune owners could explore and download music for their devices. The site aimed to be a video destination. There was a considerable amount of content to organize. I was the lead information architect for an MTV-sponsored local college guide. mtvU aimed to be a resource for college students to discover local events. Students could also use the guide to find nearby places to eat and drink. The project team was distributed so the design needed to be thoroughly documented. Interface behaviors were specified to ensure the final product worked as expected. This is an early storyboard for what eventually became the LiveStrong band site. These storyboards helped decision-makers better articulate what they wanted. These concept sketches were made for a children's game manufacturer. I authored this document while preparing to tackle a humongous project (it tackled me). it's common to employ a combination of sketching, schematic diagramming, architecture diagrams, wireframes, and prototypes. an application is supposed to do. They get decision-makers involved in discovering promising design solutions. They give developers the information required to build and test a functional application. The following screens show some of the things I've produced when employed to gather requirements, organize information, and propose ways for interfaces to accomplish a project's goals. These hand-drawn icons were used for an exploratory beta product. These icons were created for a social data startup. They were used in product definition documentation. This diagram was designed to illustrate what a social data startup was going to be when it grew up. This diagram was well-received but was very difficult to modify. These were designed for a professional services company. These icons were designed for an old-school extranet. These icons were used to make wireframes for a college guide more descriptive. These icons were created for an API management company. Start with simple vector shapes. Greyscale fills are applied. Gradients, shadows, and color round things out. This is a set of quick illustrations I made for a touring bicycle I'm assembling. I wanted to see if Scott Felter of Porcelain Rocket would make a custom set of frame bags for me. Scott liked them so much, he asked if I'd be interested in making some illustrations for his site. I made a set of technical illustrations that could be used in web and print. I'm always surprised how simple vector shapes, gradients and shadows can create the illusion of three dimensions. Most details will escape notice, but they help contribute to the impression that this is a real thing. A big portion of my work happens long before a project moves into visual design and development. Icons and illustrations can be useful in helping communicate what's at stake before product development begins in earnest. Icon graphics used in project documentation are a great way to encourage the agreement required to move a project along to higher levels of design fidelity. Many of the interfaces I've made tend to be transactional or involve a lot of content. Icons and diagrams can be useful for describing and organizing functionality. The following screens show icons and illustrations I've made for various projects. 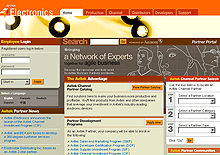 I've been designing web sites and interfaces for 14 years. In the past eight years, I've worked as the founding design lead for three early-stage startups. I've created interfaces for web, mobile, kiosks, and interactive TV. I've worked for startups, boutique agencies, and enterprise software companies. I've been employed as a design director, visual designer, information architect, and HTML guy. I enjoy moving between exploratory, strategic, architectural, and visual roles. I'm self-taught. I've made a career out of making lots of mistakes and learning from them. My work has been recognized by Communication Arts Magazine, ID Magazine, and the American Institute of Graphic Arts. of an effort to develop a full-fledged server migration service. Sonoa Systems, an API infrastructure startup, created sub-brand Apigee to explore new product ideas. As a contractor and an employee, I designed Apigee’s identity and a series of exploratory applications that aimed to make it easier for developers to learn and work with APIs. Apigee was so well-received that the company decided to change its identity. I subsequently directed the rebranding of the company’s marketing site and iterated on Apigee’s applications for software developers. I returned to Swivel and designed Swivel Business, a data sharing platform for small businesses. I created the information architecture for a MTV-branded local entertainment guide that launched in over 500 colleges nationwide. I was the lead information architect for a redesign of Microsoft's Zune.net. I directed a visual redesign for CNET.com. As one of five original employees at a social data sharing startup, I facilitated the process of defining the problems the company would attempt to solve. I conducted user research, helped define an overall product strategy, and planned the user interaction to support it. I designed the company's identity and user interfaces for a community-driven site for sharing data. I designed a wiki for the Server And Storage Software Group. I designed a number of Flash-based sites for Nike including Nikecycling.com and Nike Women's Soccer. 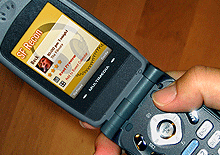 I designed Flash-based cell phone demos for Macromedia. I worked on interactive television applications for Yahoo! and NPR. I created visual designs for Stanford University's newly-founded design school. I created concept work for MSN.com, and programmed a colleague's web design portfolio in ActionScript. I created the interaction design for the BEHR Color Smart Paint kiosk, which can be found in over 1500 Home Depots in North America. I designed the information architecture for the Network Associates web site. I programmed Flash microsites for General Motors / Cadillac. I led the design and development of a sales demo platform for BEA Systems. BEA sold over $400 million in software and services with the sales demos we created. I created the information architecture for BEA Systems' sales portal. I directed the development of a sales demo for ATG. of a creative process document.